Tell us about your journey into sales. What galvanized you to join dotCMS? The opportunity to grow the company at an accelerated pace where I could immediately leverage my industry experience and network. What’s the most exciting part about leading sales teams in the CMS ecosystem? 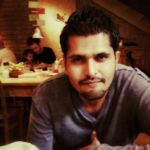 What tools does dotCMS use to channelize their sales campaigns? HubSpot and Salesforce, but more importantly, we have a strong partner ecosystem contributing to our accelerated growth, but I wouldn’t want to call them ‘tools’. They are instrumental and strategic partners, and one of our key growth pillars. What abilities do you think today’s Sales Technology doesn’t have? What would you like to include in it? Particularly in the enterprise segment of our industry, the CMS selection process is RFP-driven. Meaning, a plethora of spreadsheets/Word docs need to be filled out. Cumbersome and time-consuming work. It would be helpful to upload the spreadsheet/Word document, and the answers automagically and just spend time on conveying the value proposition (hard to automate) for the prospect. Having said that, our team is currently working on an in-house solution like I described. Matter of structured content, metadata and solid search and scoring capabilities. dotCMS 101. It is right now, but AI will find its way into all business applications and have a key role to supplement humans to do an even better job, at scale —advancing the Marketing and Sales Automation tools that we have at our disposal for sure. For CMS sales, this will help for the prospecting/top-of -funnel activities. Further down the funnel, it will require humans-only, since CMS is a complex, multi-faceted sale. Salesforce, albeit less and less recently. I haven’t yet seen the next Sales Technology vendor who is about to disrupt the space, but looking forward. How do you see dotCMS’ products enhancing content commercialization in cross-channel mediums? It’s how an increasing number of dotCMS clients is using our product already. Being an open, and API-driven CMS, our customers are able to expose content in any touchpoint of a customer journey already, across different applications/devices/contexts. Our product has been designed and engineered to this extent from the ground up. Only thing our customers have to do…just do it! With social mediums growing into formidable B2B communication models, do you see sales teams surviving without email tools? Yes, actually. Maybe not 100%. In the CMS industry (and I’m sure others as well), buyers are 60-70% in their buying cycle before they reach out to the vendor and engage for an RFP/demo. From there on, it’s mostly a combination of GoToMeeting and Slack for the remainder of the cycle, and e-mail just for transactions (sending contract, send response). Outbound emailing doesn’t work in the CMS space. Prospects will come to you, once they are ready and have evaluated your product (download or demo) and content, along with other data (analysts). Webinars/events by Gartner and Forrester for the latest and greatest on CMS/DXP industry-specific thought leadership content in order to keep up. Accenture and McKinsey on anything else that interests me outside the CMS space. Thank You, Stefan, for answering all our questions. We hope to see you again, soon. dotCMS’s​ enterprise-grade, Java-based content as infrastructure approach allows global organizations to build, deliver and scale memorable, lasting customer experiences. dotCMS software is used by Fortune 500 companies, SMBs and digital agencies alike, empowering today’s businesses to move beyond the web page and into IoT devices, mobile apps, voice assistants, digital signage, TV smart boxes, or whatever comes next. 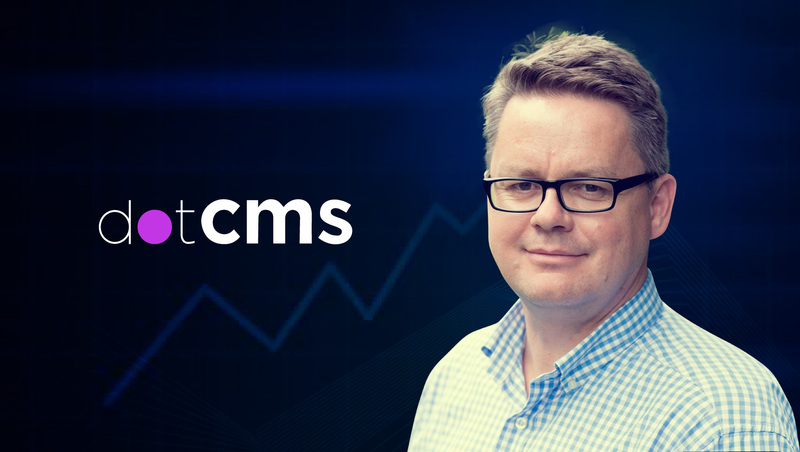 Privately owned and headquartered in Miami, Florida, dotCMS has an active open source community that has generated more than 300,000 downloads and has an expanding global network of certified development partners. dotCMS customers include: DirecTV, Hospital Corporation of America, Royal Bank of Canada, Standard & Poor’s, Constant Contact, Thomson Reuters, TELUS, and more. Stefan is Chief Sales Officer and thought-leader with a focus on driving client value and hyper-growth. Worked both in corporate enterprises as well as scale-ups. International experience in scaling enterprise software sales and various industries (high-tech, utilities, logistics, manufacturing, digital marketing and consulting). Passion for digital marketing & digital transformation. Successful in diverse executive roles in sales, digital marketing, product development, product marketing and services delivery.